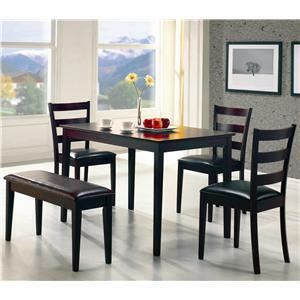 Create a cozy contemporary dining area with seating for six with this counter height table set. 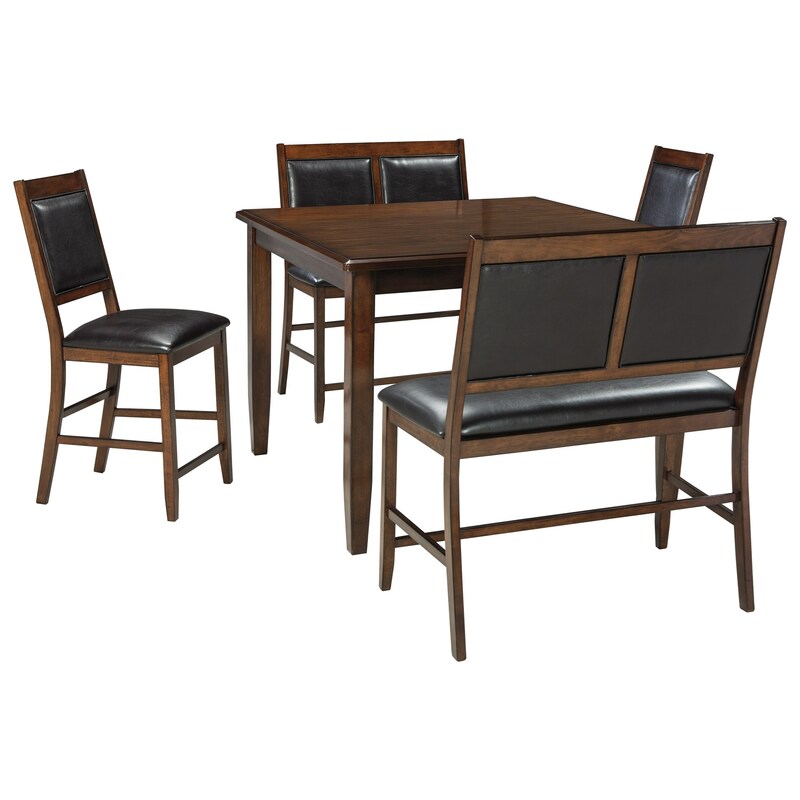 Constructed of birch veneers and hardwood solids in a warm brown finish, the set features a square counter height table. Brown faux leather covers the seats and framed on the backs of both the counter height stools and the benches. 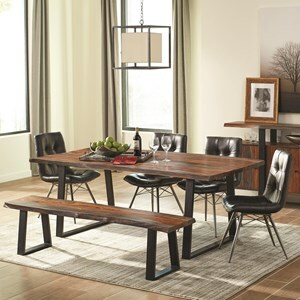 The Meredy 5-Piece Dining Room Counter Table Set with 2 Benches by Signature Design by Ashley at Value City Furniture in the New Jersey, NJ, Staten Island, Hoboken area. Product availability may vary. Contact us for the most current availability on this product.